The people of Kolkata got their money’s worth as when Haryana Steelers held Tamil Thalaivas to a tie this evening, with the score reading 40-40. It was an ‘edge of the seat’ stuff as the match went into the last raid with all three results possible. Haryana Steelers were slow to get off their mark in the game. It was a tackle point which got them going as the raiders found it difficult early on. The trio of Monu, Vikash and Naveen then got into the game by scoring some quick points. Defensive lapses were costing us though. It was a see-saw battle throughout the first half as both teams were taking lead and then losing it. Due to some defensive errors in the dying moments, we went into the half-time trailing by 2 points, 14-16. But as always, it was a much-improved performance in the second half. Captain Monu Goyat was scoring points in almost all his raids with the opposition captain, Ajay Thakur matching up as well. Both defenses were brittle as the scoring rate increased. Vikash and Naveen were not far behind as well. The game tilted in each corner after every minute, but in the last 5 minutes, Haryana loss way too many points. 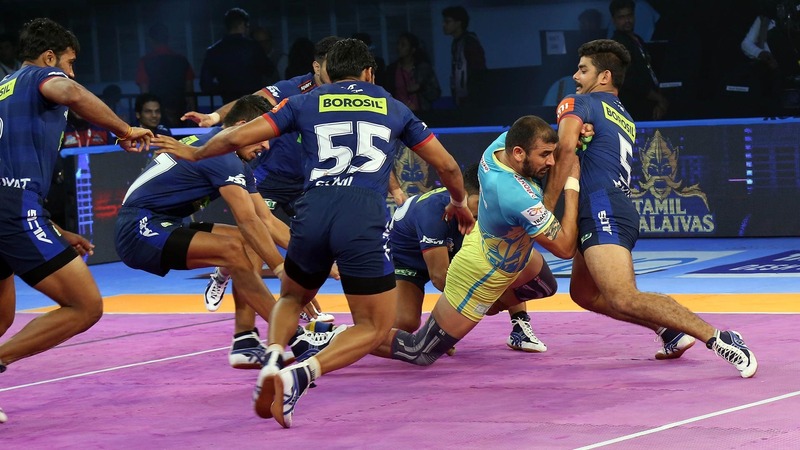 Tamil Thalaivas were sitting comfortably at 40-38 in the last minute but a mistake from Ajay Thakur in his raid brought down the difference to just one point. In the last raid of the game, Vikash made no mistake and got a touch point to tie the match. Coincidently, the last game between these two sides had also ended as a tie. Monu Goyat gave his best performance so far in Pro Kabaddi as he scored 17 points in total, 16 of them as raid points. With that Haryana Steelers end their Season 6 in the Pro Kabaddi League and look forward to a more promising next season.